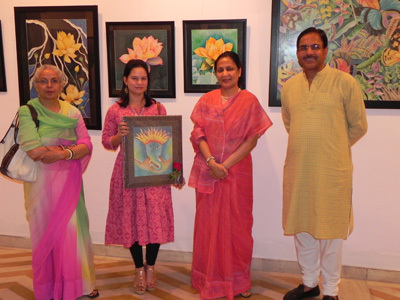 The combination of Passion, dedication and the urge to do something artistic with love and care gave birth to the silk artist of India, Manisha Singh. We must say that its a true honor for the team of Indiacafe24.com to have this artistic person among us for this session. Manisha Ji shared with us her journey so far in this world industry and her dreams for the coming time. Welcome to the platform of Indiacafe24.com. We are happy to have such a talented artist and entrepreneur with us. Manisha will request you to introduce yourself to our readers. Thank you so much for inviting me to talk about my work on this platform. 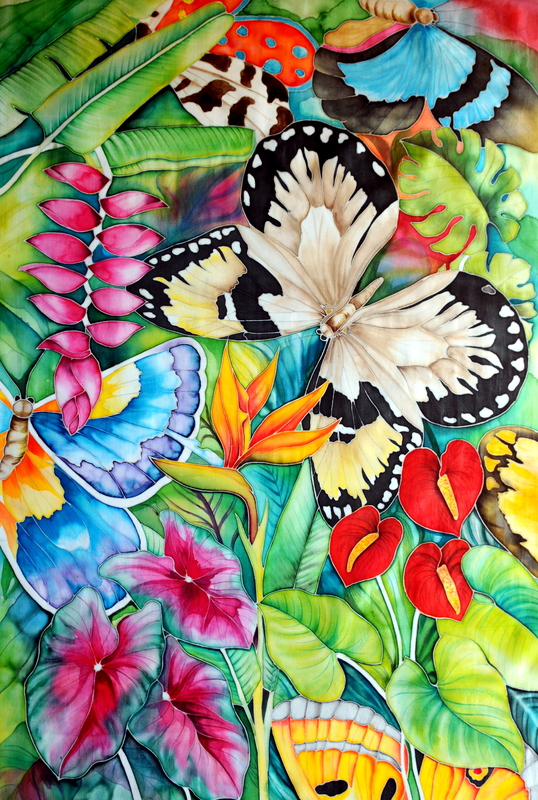 I am a silk artist and I paint on silk using the French “Gutta Serti” technique of silk painting. I have been painting for as long as I can remember- I started experimenting with all kinds of fabric until I chanced upon silk and the rest is history. 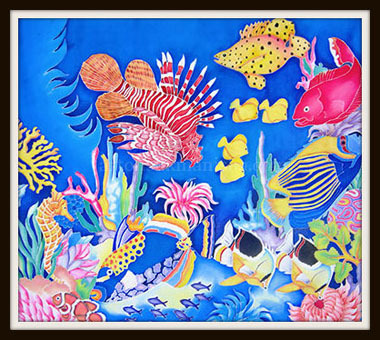 I create a variety of products from home décor items like wall painting and cushion covers to wearable art like scarves, suits and sarees. 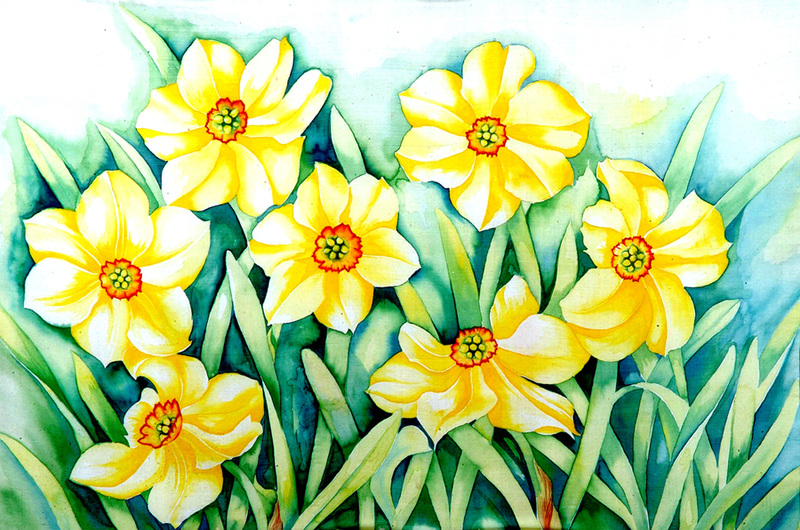 What was the concept behind launching ArtOnSilk? 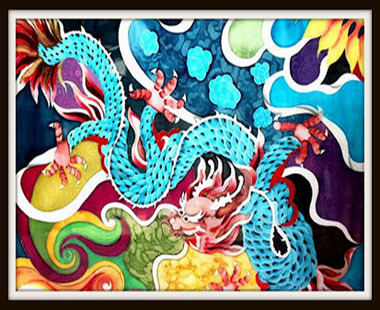 Art on silk began as an effort to give vent to my creative instincts. 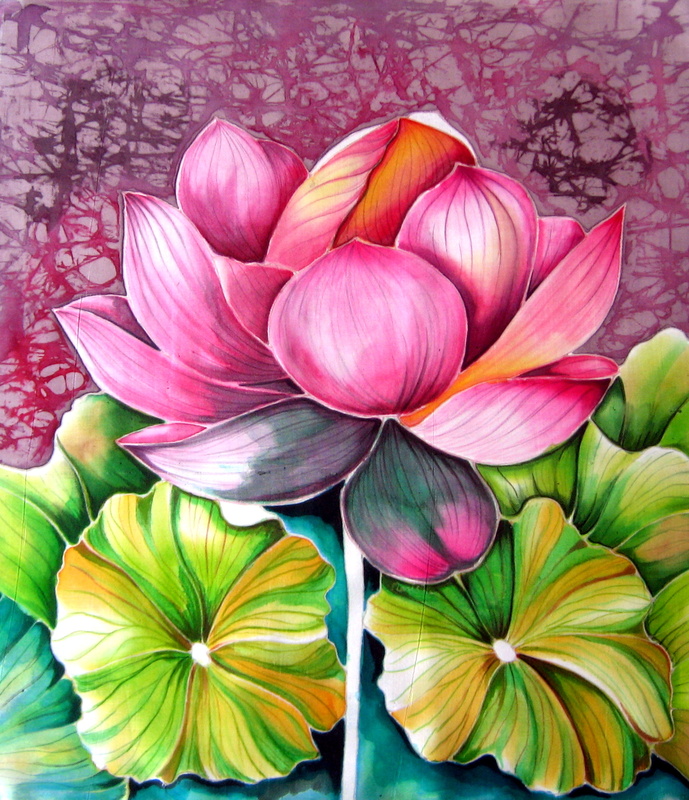 I began as an amateur painter experimenting on various medium till I settled for silk for my creative expression. 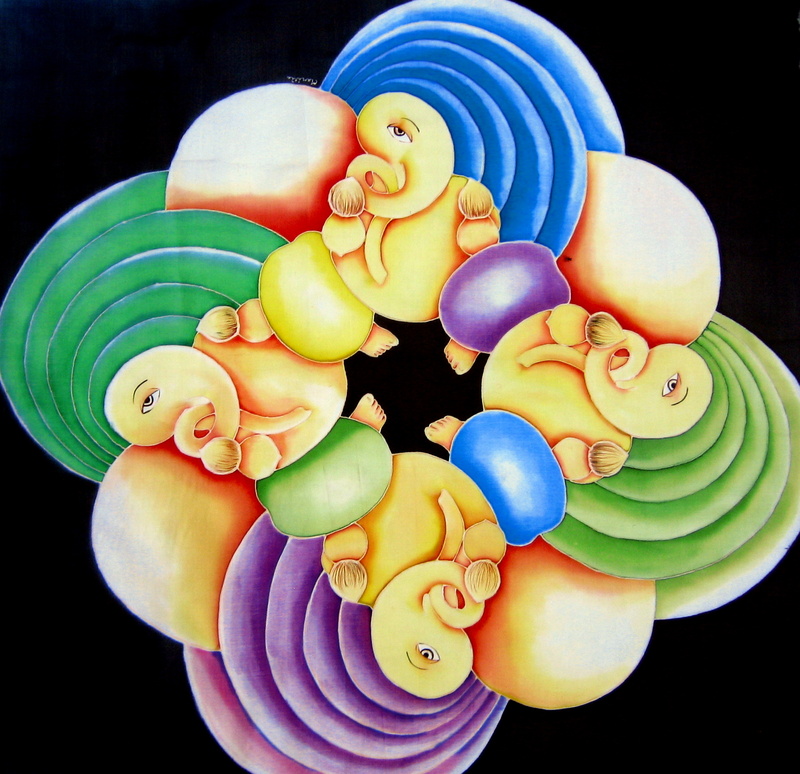 How and when you first realized that you have a true artistic sense in you? I have been interested in painting on fabric from my adolescent years. I used to paint on T-shirts and kurtas as a past time for my family and friends. Floral designs were my favourites. I also used to paint with oil and water colours. Silk came in my life by chance. 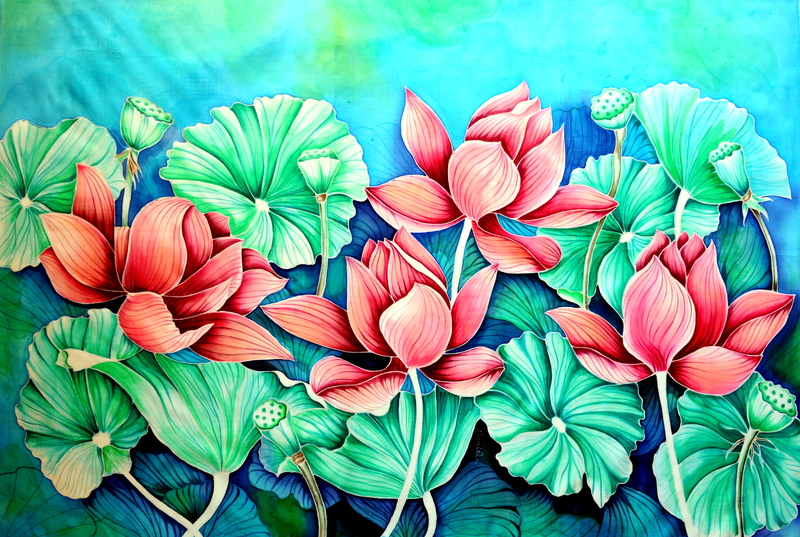 I was doing my Fashion Designing Course from The Dang School of Design, Bangkok, Thailand, one of the premier institutions of Thailand in 1996 when in its library I chanced upon a book on silk painting and that motivated me to take this medium of painting. Soon enough all the requisite material for silk painting started materialising in my house and my journey began. Please give a brief about the Gutta Serti technique which you follow in your designing? This technique has its origin in the courts of Russian Czars. With the decline of the regime, the art travelled to France where it got perfected and received its present name of “Gutta Serti Technique”. Serti in French means enclosure that is drawn with gutta, a fine extract from Malaysian rubber. The technique requires drawing the design on paper first, then tracing it on tracing sheets and transferring the design on silk tightly stretched on a frame. On the outlines so made on silk, fine gutta lines are drawn with special applicator. It requires great amount of practice to draw uniform gutta lines. Once the gutta dries it does not allow the paint to go outside the serti or the enclosure. Painting is done with dyes specially made for silk by Dupont or Sennelier and not with fabric paint that usually happens in traditional methods. The difference between the two is that paint remains on the top of the silk thread and becomes hard on drying. On the contrary, silk dye becomes an integral part of the silk thread. Paint has to be spread with the brush but dye spreads with osmosis. Gutta lines contain the dyes from spreading beyond the gutta lines. After painting layers and layers with the dyes, the painted surface is wrapped in white wrapping paper and steamed in a special container for 5 to 6 hours and subsequently dry cleaned. 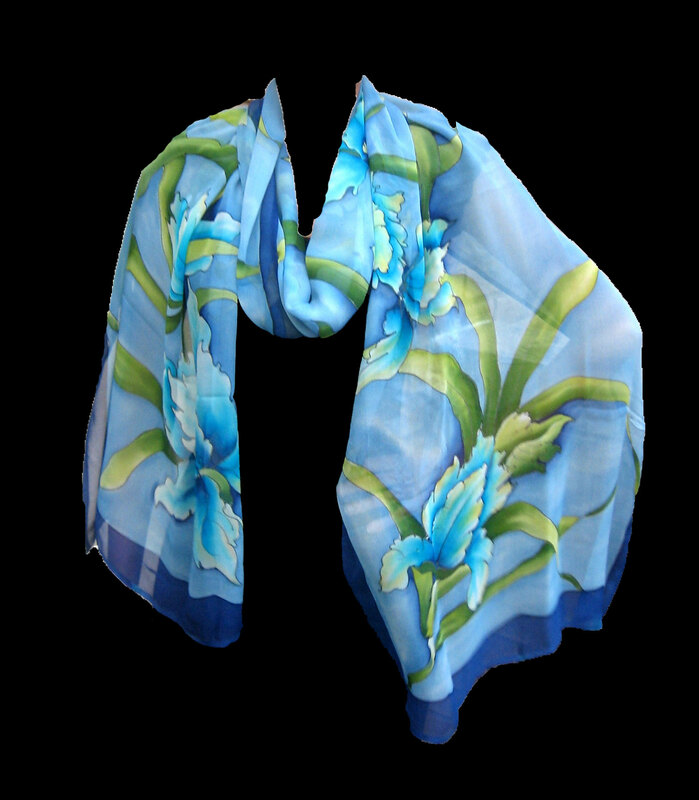 Gutta dissolves in the dry cleaning liquid and after ironing the result is painting with stunning vibrant colours appearing on both sides of the silk. What types of products you are manufacturing using your creative art form? I first did only decorative wall paintings and held my exhibitions. My paintings find their place in corporate offices, and homes. 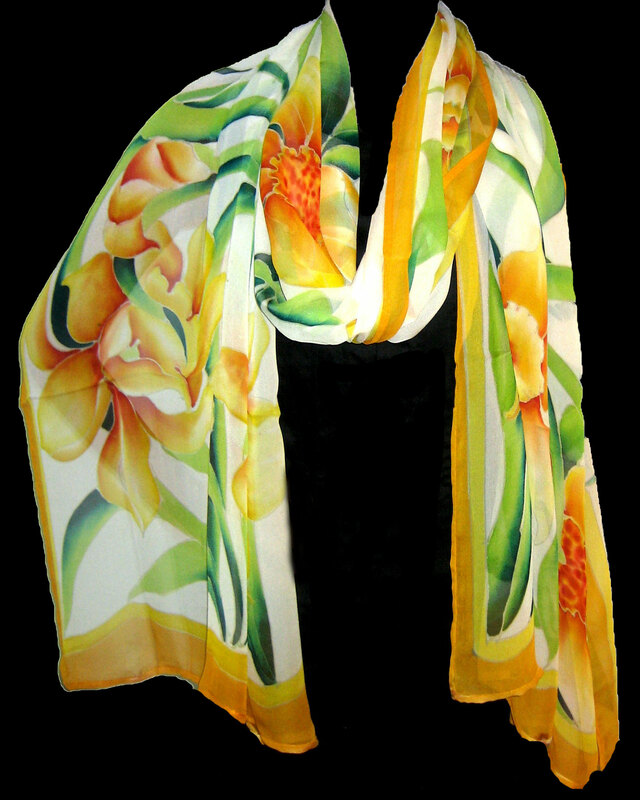 Thereafter, I diversified into wearable art to create a variety of products like scarves, suits, sarees and kaftans. Do you design outfits based on any specific pattern or it’s just your creative imagination? 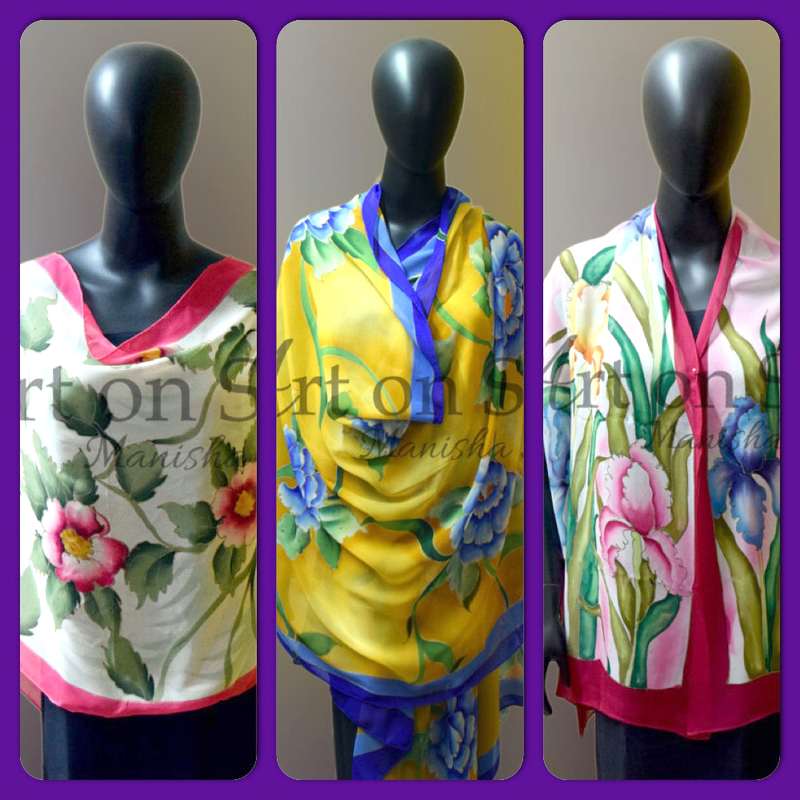 I design saris, salwar suits, kaftans, dupattas, stoles, and cushion covers. All my designs are inspired by my paintings. 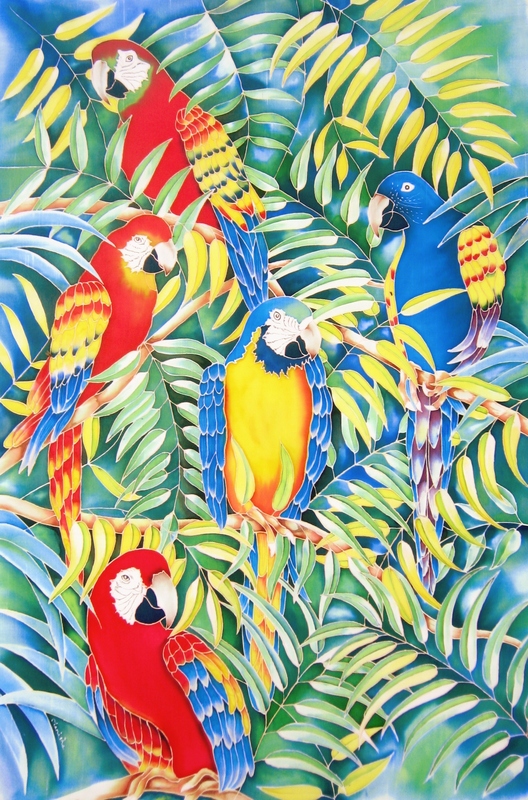 My paintings are on various themes likes tropical forest, birds of paradise, marine and coral life, flowers, fruits, nature, butterflies and host of other themes from Indian, Chinese and Thai traditions. No my designs are my creative inspirations and I do not usually customize designs for customers. What materials you are using in making your product and which type of Silk you are using as base? 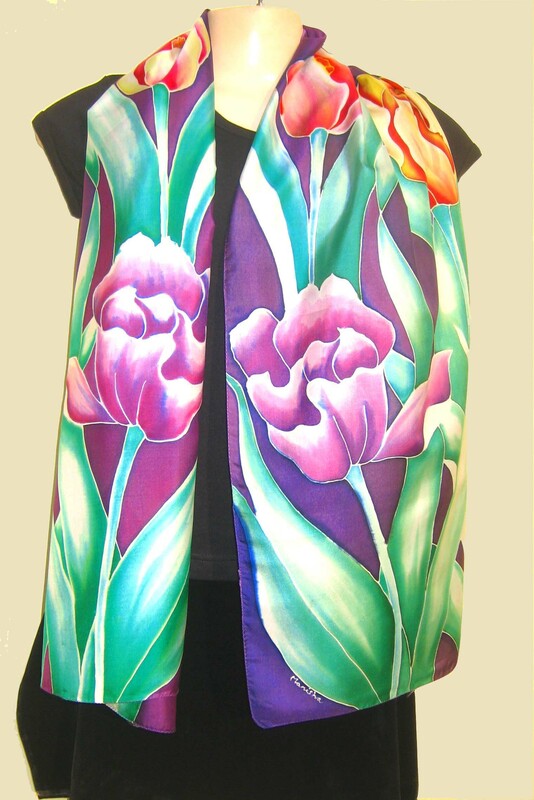 I am a self taught silk artist. I have depended upon books and internet for all my knowledge and now I am a member of Silk Paintings International (SPIN), an international association of silk painters. SPIN is such a great network of extremely talented artists who are always ready to help each other. Why you named your project as ArtOnSilk? 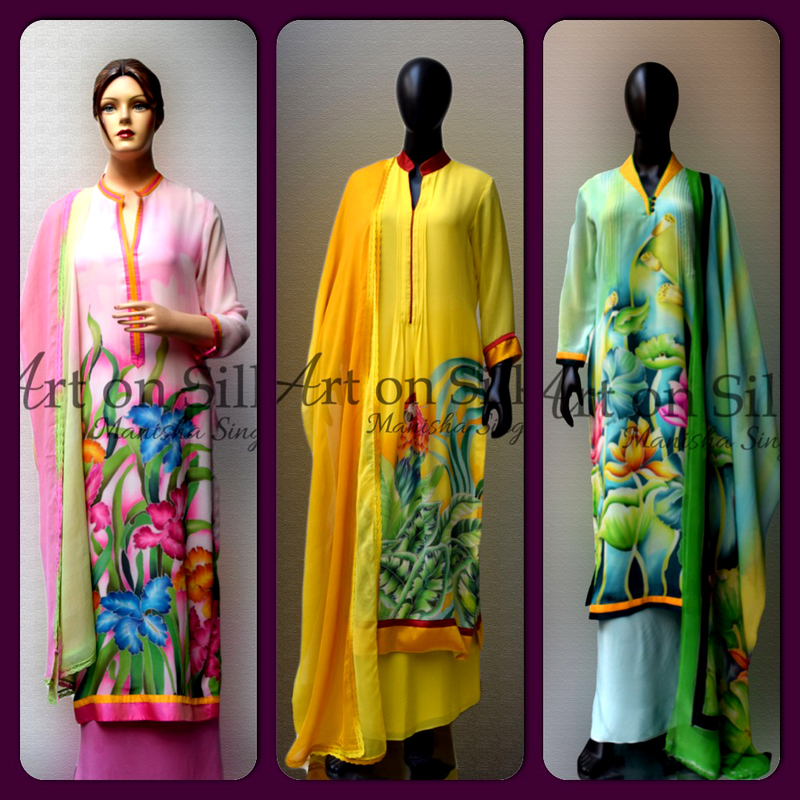 My project is named ArtOnSilk because all my creations are on silk. I do not paint on any other medium. Therefore, it was only fitting that I name my business ArtonSilk. My targeted customers are those who appreciate art and would like to buy something unique. No two products of mine are the same since they are all hand painted. My wearable creations garner the interest of women who love my unique designs while my home décor items such as wall paintings is for anyone who would like to adorn their walls with vibrant colors. My customers range from big corporations to individual buyers making personal purchases. I have my own full-fledged studio in my house in Noida. 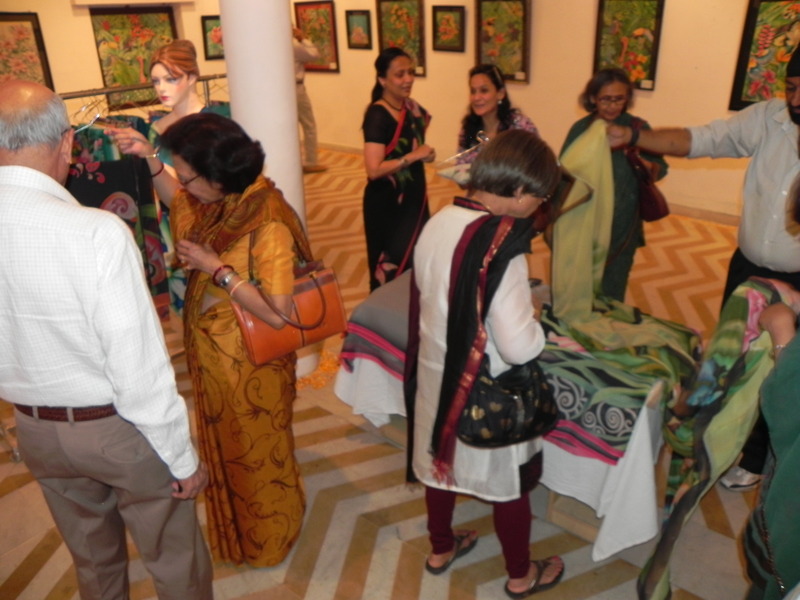 I hold regular exhibitions, participate in life style exhibitions. In today’s world, social media serves as an extremely powerful tool to get your message across to the masses. I am very active on facebook and etsy. I have a page dedicated to my artwork- https://www.facebook.com/silkhandpainting where I am constantly putting up pictures of all the new products I create. 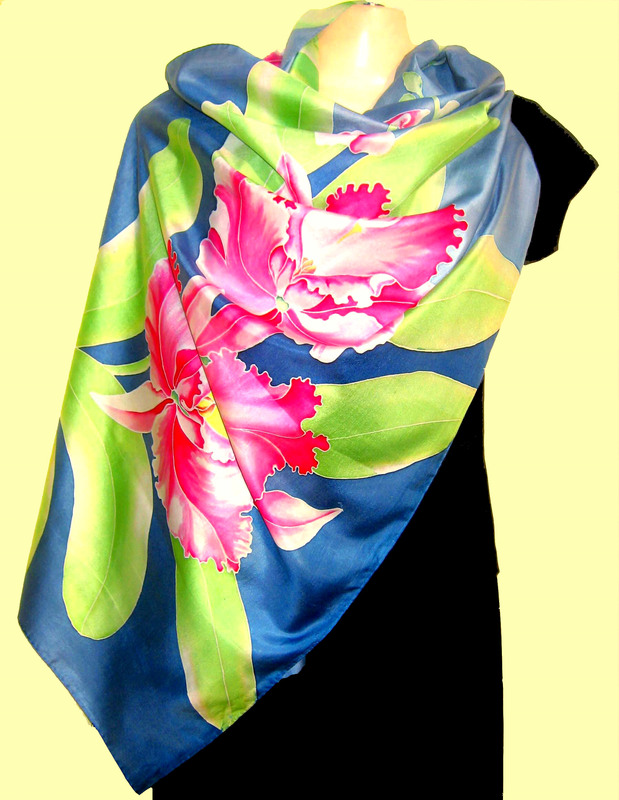 I also have a website silkhandpainting.com for all my products. What are your future plans for ArtOnSilk? My plans are to tie up a retail chain that could retail my products under my brand name. Most retailers would like to make you an artisan and not give you credit for your creativity. I wish to supply my products under my brand name. 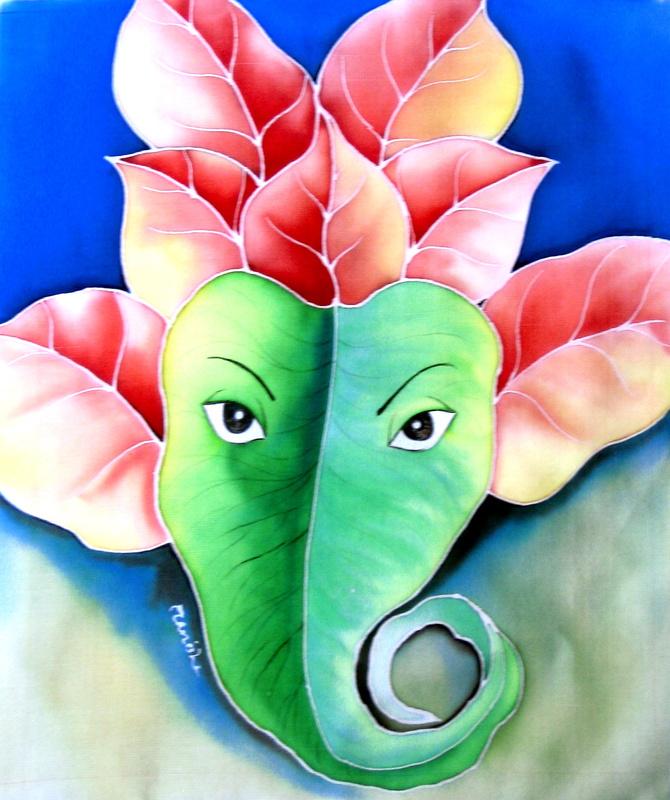 I plan to sell my decorative art as “Art on Silk” and wearable art as “Amrayi” which is an acronym of all four of our family members spelled in hindi. My passions are painting, gardening and social service. My husband renders voluntary service to an NGO named SAPNA. They take care of unknown and unidentified patients from Tauma Centre of AIIMS, Safdarjung Hospital and AIIMS. A part of the profit from my venture goes to NGO SAPNA. As a family we support 4 girl children education that the NGO runs. Do you have any team with you for assisting you in your work? I paint mostly on my own. However, whenever needed, I contract out jobs to reliable persons, including artists. How to manage to handle Bulk orders as you artwork is very demanding and we are sure the client base is increasing with every passing day? It all depends upon orders. I have a group of artists, and other professionals in the field who I can utilise to assist me. My designs are entirely my own and each piece is unique. Share some WOW moments in your journey? 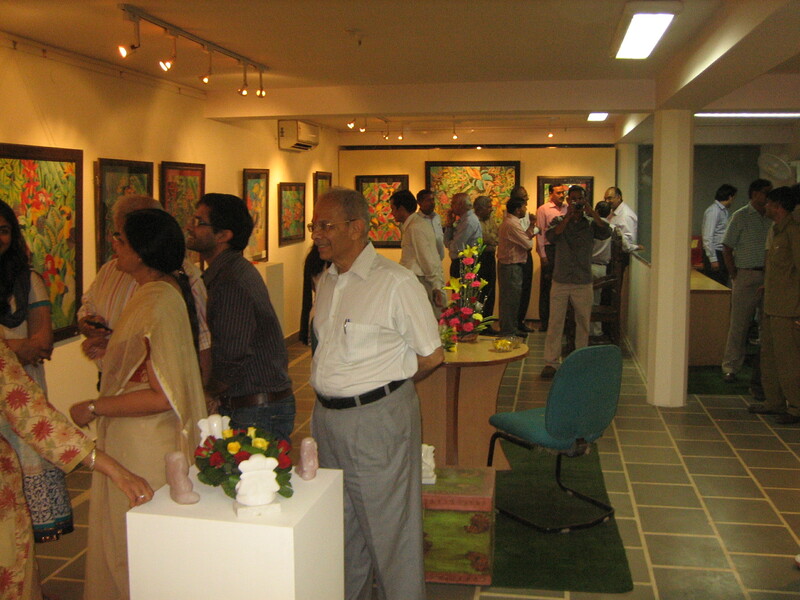 It was my first order that came after my first exhibition in Hotel Ashok in 2007 where after 7 days of exhibition I sold only one painting. After the exhibition I got a call from a corporate house to supply 70 medium size paintings for their corporate gift for Diwali. The time was short and I had to work day and night to complete the order. India is a land of 1.29 billion entrepreneurs unlike China which has only entrepreneur – its government. Women have always been in the fore front. Noor Jehan was a great designer herself and surrounded herself with host of women entrepreneurs whom she encouraged immensely. India women of today are very talented and relentless in their endeavor. If you have a passion follow it. Success doesn’t come easy, surround yourself with those who inspire you, encourage you and support you and lastly never give up on your dreams! 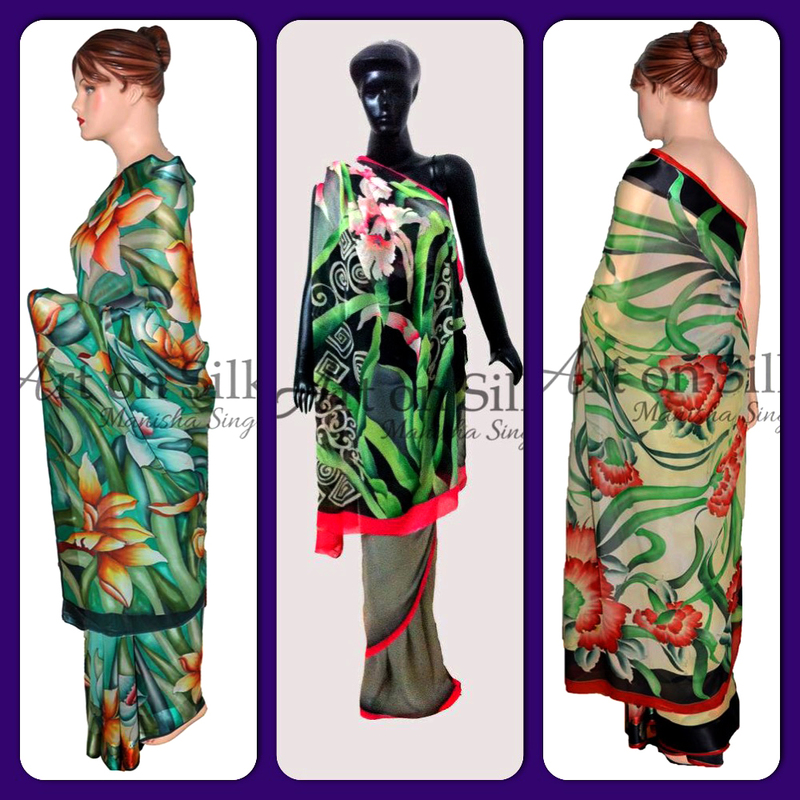 Define Manisha Singh- the ArtOnSilk designer? A home maker passionate about art, lover of nature, a compulsive homing bird, and a family person. All these things inspire me and my creativity.